We are bringing 3D printing to The Morean for teaching art. The applications for 3D printing are endless. One of the fun areas is creating 3D art. In this two-part workshop, hand drawings will be digitized and then printed in 3D. Your child will create two 3D printed objects. During the first class (Tuesday, January 12), kids will create objects for a group project. 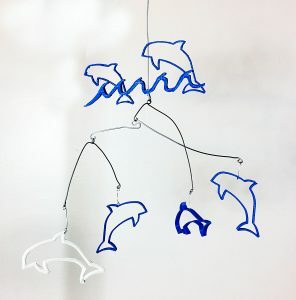 The project will be a mobile and each child will design a piece. To allow for time to print all the 3D objects, the mobile will be assembled during the second class. The finished project will be put on display at The Morean and will later be auctioned to benefit a local charity. During the second class (Tuesday, January 19), kids will create their own design to take home. The finished 3D object can be picked up one week later at The Morean. Their designs can include a pendent, name plate, key chain or backpack clip. 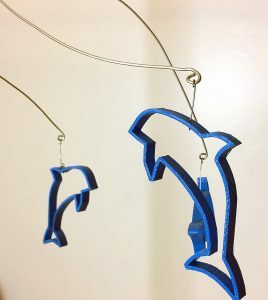 The class will be led by Create3D (a local 3D printing firm) and Marc Levasseur (local artist and regular Morean art instructor).